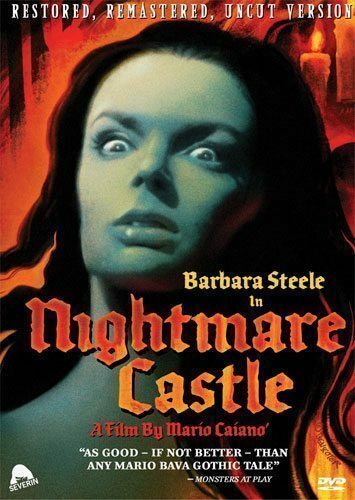 At the height of her career as the dark goddess of Italian horror, the legendary Barbara Steele (Black Sunday) delivered two of her most memorable performances in this tale of obsession, madness and depravity. Steele stars as a cheating wife who is chained, whipped and tortured to death by her sadistic scientist husband, and as her unstable blonde stepsister whose fate may be even more ghastly. Paul Muller (Vampyros Lesbos), Helga Line (Horror Express) and Rik Battaglia (Sister Emanuelle) co-star in this twisted shocker directed by Mario Caiano, featuring stunning black & white cinematography by Enzo Barboni and the very first horror score by Ennio Morricone. Throw away all those inferior transfers from censored TV prints: This is Nightmare Castle like you’ve never seen it before!